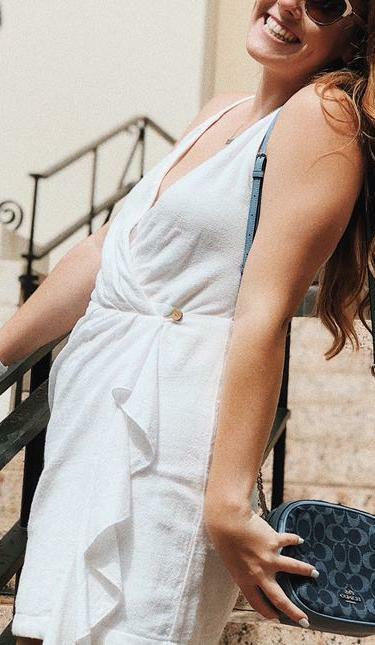 White free people dress with button on the side. Hooks on the inside to stay secure. Ruffle going down the front. Super cute and comfy!